ARRIVE ~ As you approach the sanctuary or amphitheater, you will see an information booth on the patio. If you are looking for our Children’s Ministry Classes or just a cup of coffee before the service starts, a greeter will be nearby to help you get where you want to be. In the lobby, our ushers are there to greet you and can also answer your questions. 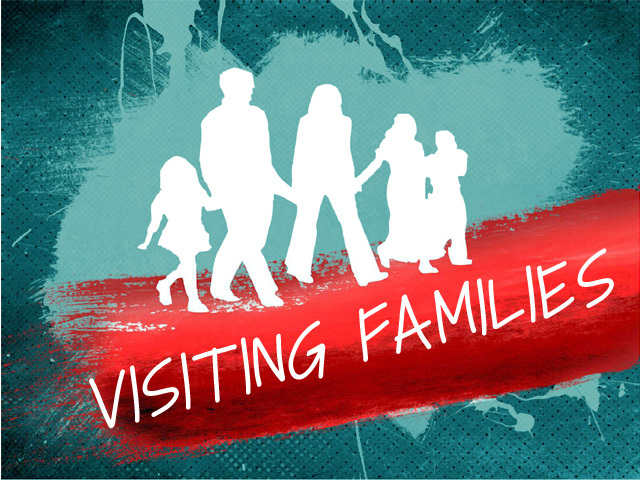 For childcare check-in information, please see the Visiting Families section. SERVICES ~ We focus on a personal relationship with God through worship, prayer, and the teaching of the Word of God. Services usually begin with about ½ hr of worship and 1 hr of verse by verse teaching through God’s Word. When the offering time comes, please know you are under no obligation to give as we believe giving is an act of worship for those who call Calvary home. 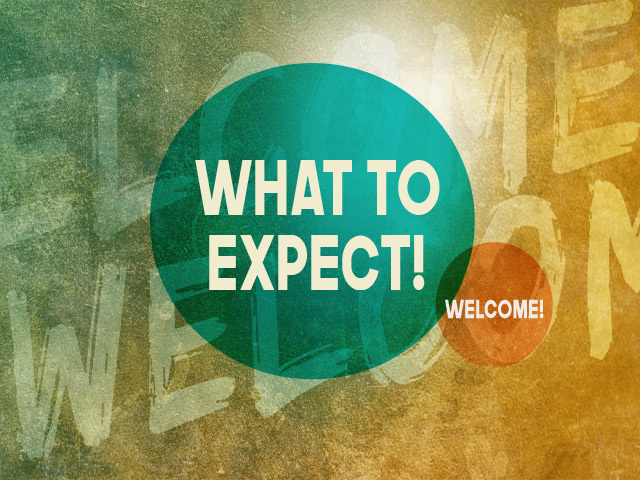 Regular services meet at 8:45 and 11a Sunday mornings and at 6:30p on Sunday and Wednesday nights. For summer service information please see our Special Services page. AFTER SERVICE PRAYER ~ Should you need prayer or have a question, please come to the bottom of the stage after service where you will find pastors and leaders waiting to talk and pray with you. CAMPUS TOUR ~ For a tour of our campus, meet at the information booth 15 minutes after service and a pastor will meet you for a tour. WHERE DO I GO FIRST? Stop by the visitor’s desk in the education building main hallway. Our friendly volunteers will get your child a nametag sticker for the class he/she will be attending. Children are placed in classes according to their age/grade. Parents will be given an ID number so we can contact you if needed. Children will then be escorted to their class and introduced to their teacher. 1st TIME JITTERS? Our volunteers are trained to help your child feel safe and comfortable. In the occasion we are unable to console an upset child, we will call a parent back to the classroom. Parents are also welcome to stay and observe! WHY DO YOU HAVE ID NUMBERS? Every child receives an ID# at check-in so that we can contact parents as needed. These numbers are sent out via text message using the texting service Remind 101. If you recieve a text during service with your child's ID#, simply bring your ID sticker to meet your child in his/her class. DO WE HAVE TO REGISTER? At the time of check-in, parents are given the option to register their child. Registration gives your child a permanent name-tag so you do not have to stand in the visitor’s line each time you attend church. You can register the first time you visit or any time afterwards. Its sole purpose is to save you time on your next visit and help your child to feel like he/she belongs from the very start! It also allows for no hassle /no wait visits in the future if you decide calvary is the right place for your family. Why don't we don't allow kids under 6 in the Sanctuary? A note from Steve: We have family worship on Sunday night, followed by an adult Bible study and kid’s ministry in the Sunday School. At Calvary our focus is on the importance of the teaching of God’s Word in an environment that makes it as easy as possible to understand (Neh. 8:2, 3, 7, 8). It is important for both adults and children to be able to come to Jesus. In light of this our services are age appropriate whether in the adult service or in the children’s ministry. We believe it is not a good thing to bore children with a teaching of God’s Word that is inappropriately complex for their age level. We don’t want kids to hate church. In addition, because it is so important for people to understand and apply God’s Word we try to keep the teaching environment one in which there are as few distractions as possible. This is particularly essential for those who don’t know Christ and are being given an opportunity to make a commitment to follow Him. Because of this, we ask that parents with kids 5 and under use our children’s ministry. We are sensitive to those families that are visiting (what kid wants to go into a strange Sunday school class on a first visit?) so we provide a family room and Café for visitors and also a couple of mother’s rooms for nursing moms. Kids 6 and over are welcome to sit with their parents but we find that they have a better experience in the children’s ministry. 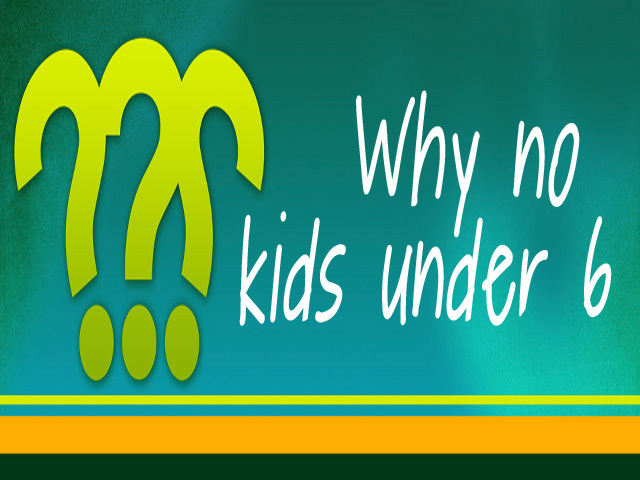 Children’s ministry is important to us and we try to do an excellent job reaching our kids. MOTHER’S ROOMS ~ In the back of the sanctuary there is a room for mothers and their babies. This room is reserved for women only and has tinted windows for privacy. The service can be heard through adjustable speakers. 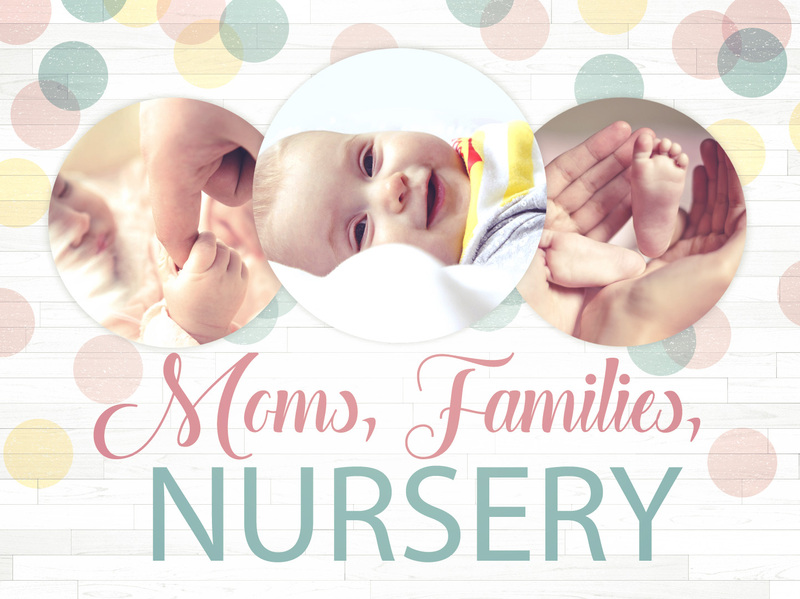 A Mother's room is also located directly by the nursery. This room is set up with rocking chairs and a feed of the service via TV. In order to keep all babies healthy, the mother’s room is for healthy babies only. FAMILY ROOMS ~ An additional soundproof room is available on the other side of the sanctuary for visitors and so that daddies can care for young infants as well. Again, these rooms are not for sick babies, but for infants too young to be left in our nursery, or babies who just need their mommy or daddy today. The Calvary Cafe offers another option for families with a feed of the service via TV. NURSERY CARE ~ Children 3 months through 2 years are cared for by volunteers that love to love your babies! We keep the nursery ratio at 1 volunteer for every 3 babies for the safety of your children. We ask that sick babies stay home to keep our nursery a healthy place. A TV monitor is set up outside the nursery so that parents can check up on how their little ones are doing! All parents are welcome to stay with their children in the nursery in the event we are full, or anytime you want to stay! TODDLER CARE~ Toddlers from 2-4 years of age are cared for at all services that Calvary has to offer. Kids are taught bible stories and offered simple activities to do! No child is too young to learn about bible truths and how much God loves them!